Based on a USD price of $2,795.00 and today's exchange rate. Broadband satellite IP terminal with voice, ISDN, and built-in 802.11 Wi-Fi access point. The reliable and lightweight Hughes 9202 Land Portable Terminal boasts a compact and sleek design. The reliable and lightweight Hughes 9202 Land Portable Terminal boasts a compact and sleek design. A budget-friendly and highly attractive class 2 portable terminal, the Hughes 9202 is ideal for governments and NGOs, first responders, public safety and mobile health care workers, and remote personnel in industries such as utility, oil and gas, forestry, cable, and telecommunications. The Hughes 9202 operates over the Inmarsat Broadband Global Area Network (BGAN) satellite service and provides high-performance connectivity and reliability for the most demanding users and extreme conditions. Using the world’s smallest class 2 BGAN terminal, users can connect at IP broadband speeds up to 464kbps, as well as take advantage of such features as built-in multi-user Wi-Fi access and automatic context activation (ACA), including the ability to transmit SMS messages via the integrated user interface (IUI) without a connected laptop, smart phone, or other user device. The Hughes 9202 allows the user to send and receive IP traffic via Ethernet and Wi-Fi. In parallel with the packet data service, the Hughes 9202 supports full ISDN and circuit switched voice and fax calls via a two-line RJ11 plug. Corporate disaster planners and remote field personnel can collaborate with confidence and efficiency with various agencies and headquarters staff using video, voice, and data simultaneously. As with all Hughes BGAN models, the Hughes 9202 is IP-based, delivering selectable, dedicated Quality of Service (QoS) levels. 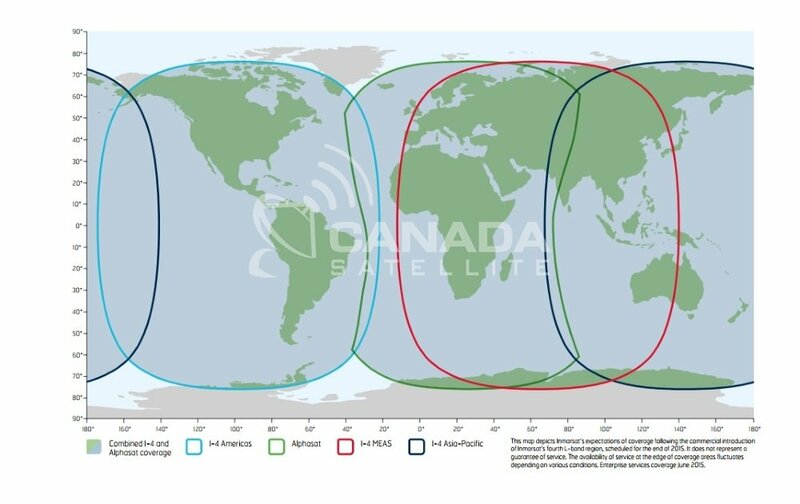 This map depicts Inmarsat's expectations of coverage following the commercial introduction of Inmarsat's fourth L-Band region. It does not represent a guarantee of service. The availability of service at the edge of coverage areas fluctuates depending on various conditions.